Recently, President Trump made a comment on Twitter about ending birthright citizenship. Although his exact reasoning for doing so is unknown, it kind of sounds like a waste of time and an enormous hassle if you ask me. First of all, what is birthright citizenship you may ask? 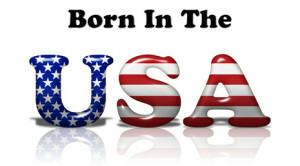 Birthright citizenship in the U.S. allows for all people born on American soil, including territories, to be given full citizenship to the U.S. This clause stems from the 14th amendment. It’s not a concept exclusive to the U.S.; many countries around the world have this concept in place to some degree. Now for instance, you can be a totally illegal alien of the U.S. and have a kid here and that child will be a full-fledged citizen of this country. The President refers to these as “anchor babies,” because they make it harder to deport their illegal parents. Anyways the President said that he’d be able to do away with birthright citizenship through an executive order, and while it’s not 100 percent known why the President would want to do that, my guess is it has to do with keeping certain people out of the country and making sure they stay out. I like a President who does stuff while in office just as much as the next guy, but I don’t know if that’s a good idea. First of all, just the hassle involved should be a turnoff. The executive order will be challenged in Congress, and then, if it doesn’t go through, the President can take it to the Supreme Court. Yeah, if you look at it on paper, the President seems to have it easier in the Supreme Court seeing as he just appointed a judge himself, but let’s think of what would happen if it were to go through. If a baby born into the U.S. isn’t automatically a citizen, are they at risk of deportation? What type of requirements would be set in place for one to become a citizen of the U.S.? Would non-citizens be given a grace period to try and become a citizen? These are all questions that come into play if the President is serious about ending birthright citizenship. News flash, he’s probably not thinking about these important questions. In this country, you get to be a citizen. It’s that simple. As a baby what other allegiance to another country could you have? In a country that prides itself on equality, I don’t see that as equal. Being the son of two permanent residents, the government didn’t look down on me and say “No, you’re not one of us.” It simply said I’m a citizen of this country by birth. I didn’t have to prove how American I was or my family was. I’ve lived here my whole life and love my country. It wouldn’t feel fair if others weren’t given the same treatment I was from birth. And, for those wondering should the President ever make a decision like this, you won’t have to apply to be a citizen. You’ll just kind of slide by, being grandfathered into citizenship. The U.S was founded by immigrants for immigrants. Ending birthright citizenship is just making the country look like hypocrites.